You devour Buzz Bites by the dozen and now you've got a huge stack of tins and really don't need anymore. You're in luck! 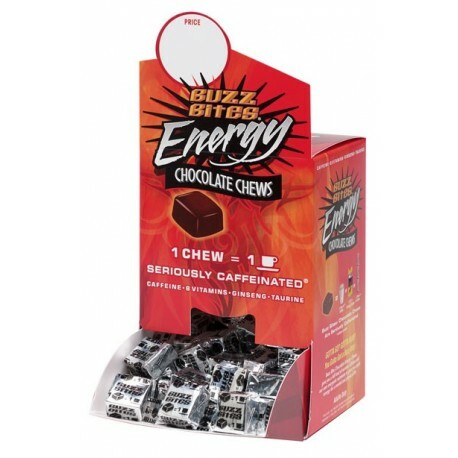 Buzz Bites Energy Chews are now available in a handy 150 count dispenser so you can get more Buzz Bites for your money and less tins. And with all of the tins you already have you can reload your tins so your Buzz Bites will be easily accessible. • Proprietary blend of caffeine, ginseng, taurine and B vitamins, which enhance performance, increase endurance, stimulate metabolism and sharpen that edge that lets you take on life! Buzz Bites are amazing! I have been a Chemical Evolution customer for more than a year and a half and I can vouch for these little miracles. I am an Emergency Physician and I work long hours and odd shifts. 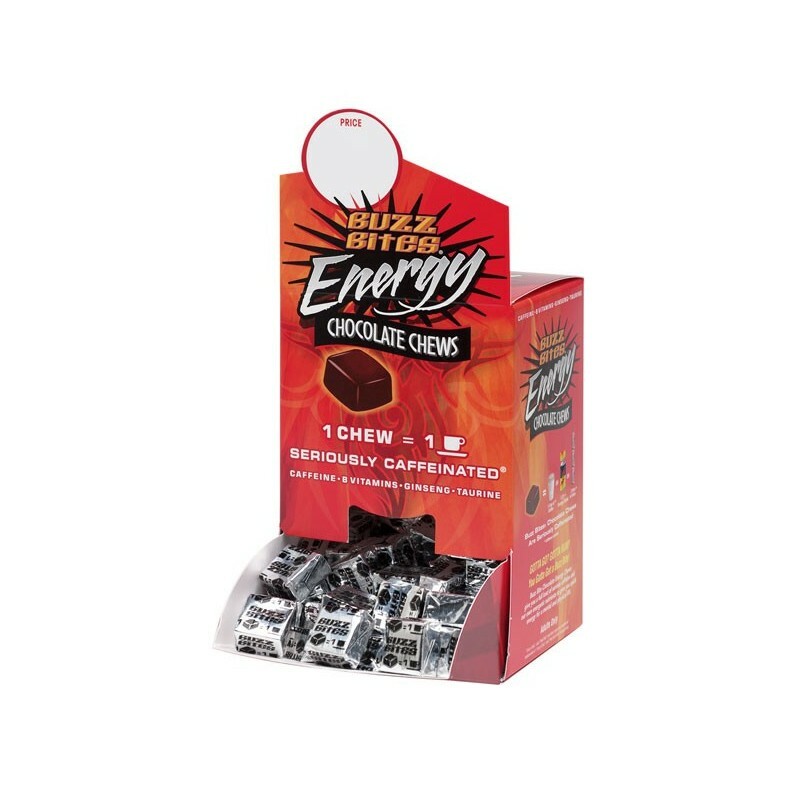 I need the energy boosts. I don't have time to drink coffee and my patients don't appreciate "coffee breath". These little candies taste great too. In addition, the Chemical Evolution people are great to deal with and my items always ship very quickly. I highly recommend all of their products, but these are my favorites!